If It's Hip, It's Here (Archives): An Air of Superiority. 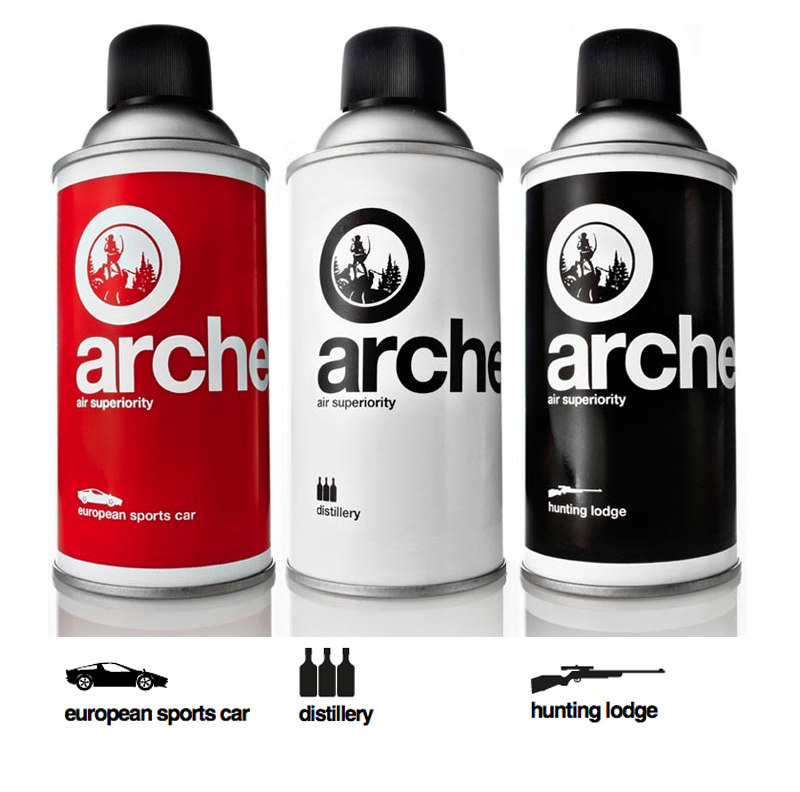 Sports Car, Distillery and Hunting Lodge Aromas In A Can. An Air of Superiority. 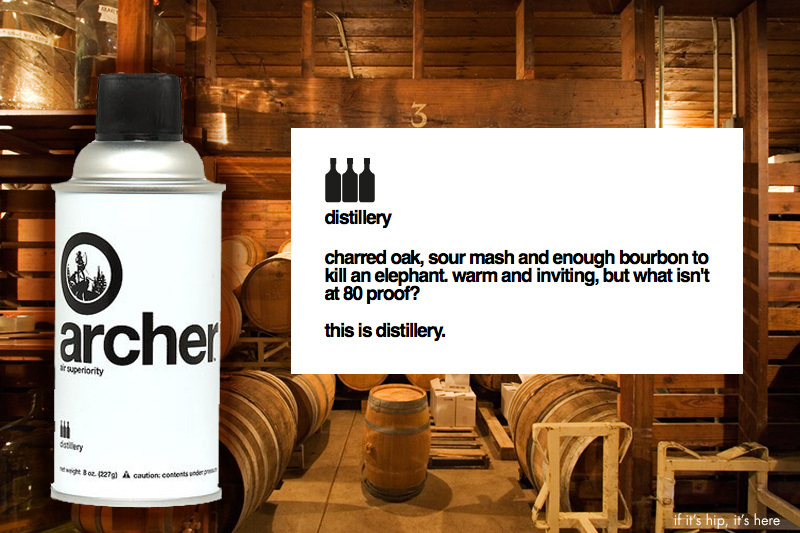 Sports Car, Distillery and Hunting Lodge Aromas In A Can. No florals or sea breezes in these air fresheners. Archer Air Superiority Air Fresheners are masculine, rich and earthy scents that come in three fragrances. 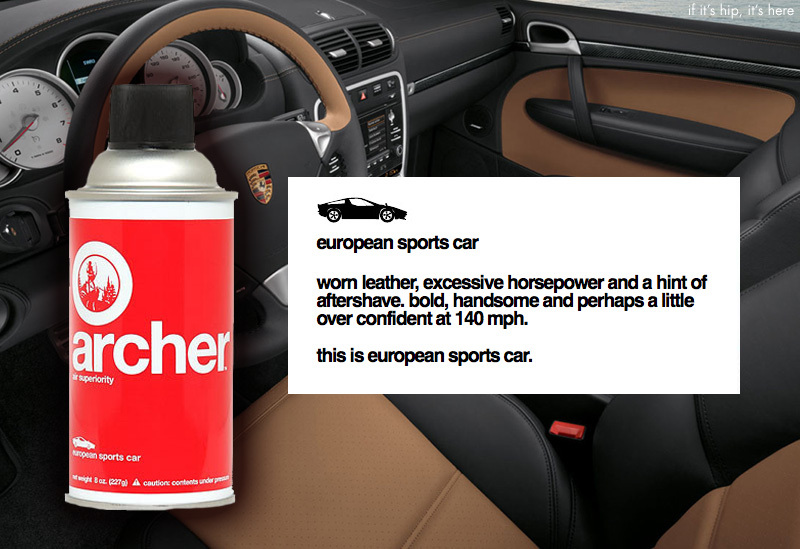 For a scent of life in the fast lane, try European Sports Car. A blend of worn leather, brute force, aftershave and overconfidence it’s like the tight switchbacks of the Stelvio Pass in a bottle. 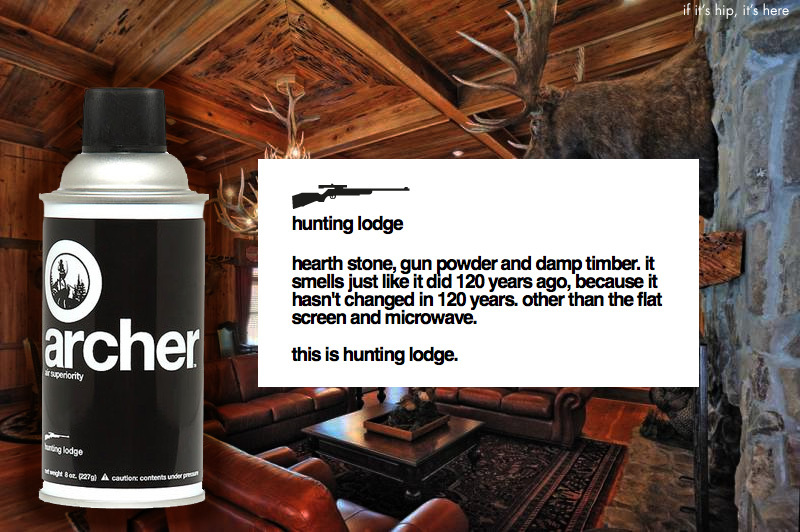 For a rich, timeless and earthy aroma you need Hunting Lodge. Gathering place of men for hundreds of years, it smells of hearth stone, gunpowder, rain-swollen timber and total dominance of the food chain. With inviting notes of diligence, craft and mastery over nature, Distillery also kicks like a Tennesee mule. Enrich your home with the inviting aromas of charred oak, sour mash and enough bourbon to keep the good times rolling all weekend. all other images and info courtesy of Archer. For those of you in the UK, buy them here at The Fowndry.